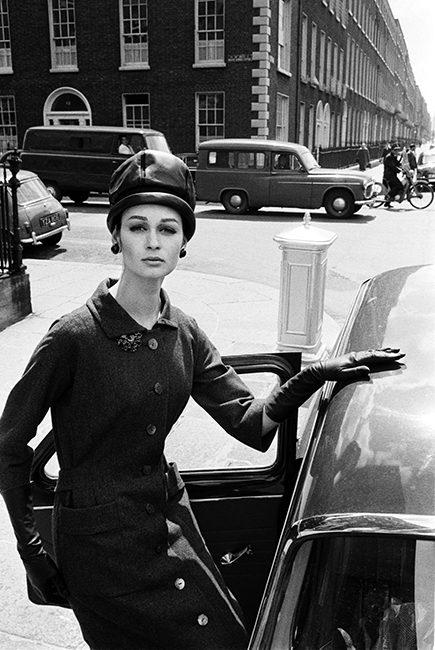 Duffy worked for Vogue throughout his career and this photo of the elegant Marie Lise Gres was taken in Dublin in 1962 for the Vogue article – “The Look of the Irish.” Duffy’s parents moved to England from Ireland shortly before his birth and he never needed an excuse to visit Ireland. Duffy worked with Marie Lise Gres extensively when he was under contract with Vogue. This image was published in Vogue in September 1962. Quote ref: E_766_40 if you require press information regarding this image.